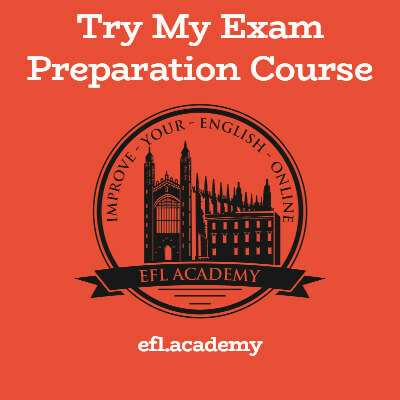 The aim of this article is to answer all your questions about proposals, to make you feel more comfortable about writing a proposal in the CAE exam, and to show you how to plan and write one with examples from a teacher and a student. Where do proposals come in the exam? Proposals are (half the time) one of the options in part 2 of the writing test. You need to smash out 220-260 words. Write fewer words and you probably haven't completed the task, write more and you've probably included some irrelevant info. Do I *have to* learn this? A lot of my students don't like doing proposals because they seem scary and business-y. That's a shame because sometimes the proposal topic in the exam is one they want to write about. So I recommend trying to learn how to write a proposal for CAE even if you don't like the idea of writing proposals. By the way, proposals aren't that hard. A proposal starts by describing the situation in a business, school, club, or other organisation you might be part of. For example, you might have to talk about the computer room in your college or the state of the canteen in your office. Sounds like a report, doesn't it? Well so far it's pretty similar. The difference between a report and a proposal is that in the latter we have to give recommendations on improving the situation. You have to persuade whoever is reading the proposal to make the changes you think are best. As you'd expect, sometimes the proposals in CAE are set in the business world, and sometimes in the academic world. In these cases you'll be writing in quite a formal style. Another common scenario is that you're in a club and want to propose some changes - if you're writing to the other members of the club you can be a bit less formal but you should still be polite. You should use headings, and have an intro and conclusion. You CAN use bullet points but I tell my students to write in full sentences. It's a writing test not a bullet point test. Bullet points can help people read something efficiently, but they are often used by writers who are too lazy/scared to write complete sentences. Use them with care! What was that free writing software you mentioned before? Have you made a funny video explaining proposals in your delightful, charming British way? Here's a real Cambridge English: Advanced sample proposal task. There are plans to demolish an old and unused building in the town where you are a student. You feel that the building should be saved. You decide to write a proposal for the town council explaining why you think the building should be preserved, suggesting what could be done to modernise it and saying how the building could benefit the local people. First I should come up with some ideas about why the building should be saved and some ideas about how to modernise it. My home city in England is full of old buildings that have been turned into offices and flats so it's quite easy for me to come up with ideas. By the way - the 3 parts of the task could be used as 3 paragraphs in my proposal. Easy, right? historic - someone famous lived there? famous event there? architecture. landmark. local pride. This is being written for my local council, so I'm going to be quite formal. I am not going to use bullet points because if you write well they are not needed. I'm going to use at least one passive sentence and at least one inversion (Not only do people love this building but also...). You wanna knock down the rec centre on Princess Parkway? No wayz! I like it! Me and me mates used to go there and chuck pebbles at windows! In this proposal I aim to persuade the Council that Ducie Central is a landmark building, that its demolition is not in the public interest, and that the building could still have a bright future. Ducie Central was the first adult education centre in the city, and it stood as a point of pride for hundreds of years before falling into neglect. Even today in its shabby, vandalised state, it is warmly regarded - many older people took classes there, and even some teenagers can remember the annual fun fair that was held on the grounds. But the building is more than memories - it's a place where education used to happen, and where it can happen again. Ducie is old and would cost a fortune to heat. There's no doubt it would be expensive to insulate, install triple-glazed windows, and set up solar panels on the roofs. However, local architects and the Engineering College are willing to work on my proposed redevelopment for free. I recommend that one section be converted into office space - that would help offset the cost of the project. It's not hard to see who would benefit from demolition - property developers who would buy the land cheaply and throw up some copy/paste housing. Modernising the building and re-opening the college would benefit not only the people who would study there but also the whole community. It would be a focal point and we could hold the fun fair like in the past. I believe that modernising the building is the best choice and strongly urge you to consider it. I do blab on, don't I? So mine was pretty good, but let's look at one a student wrote. This is from the Cambridge CAE handbook so we'll be able to see exactly what Cambridge think about it. I come through this letter to make an appeal for the not destruction of the Municipal Library’s building. One of the reasons why the building should be preserved is because of its touching past. It was built with only imported material of best quality, and it was the second library in the country. It was also, for more than a hundred years, the biggest and more luxuous public building in the whole country. For its characteristic seventeenth century building and for its importance in the past, it is still studied and visited by historians. The building is located right in the middle of the town, so it is accessible for the entire population, and it is also the biggest building in town, and it can surely support more books than any other building. By destructing the building it would with absolutly no doubt be a huge loss of books and culture. There is no point arguing that the building is quite old-fashioned and could use some improvements. It could really use some painting and repairing on the wall and floor, however, the best would be making some technological improvements, such as elevatiors, computers and an electronic “finding books” system. To sum up, there are plenty of reasons why the library should be preserved, it benefits the people, the history and the culture, and I would be pleased if you took my letter in consideration. Remember that Cambridge score writing on 4 things: Content, Communicative Achievement, Organisation, and Language. For content they gave this student a 5 (out of 5). He did everything he was supposed to do. In the real world, the reader would understand the proposal and be able to make a decision. I'm going to give myself 5 out of 5 for my text. Cambridge rated this at only 2. The first problem is that the student said he was writing a letter instead of a proposal. It's doubly weird because he uses headings like in a proposal. Writing 'letter' is just confusing. The main problem is that the text focuses on the past - proposals are about the future. My text might be a bit too past-leaning, too. So maybe I wouldn't get full marks. I should have written more about the future benefits of preserving Ducie Central. Here the student scored a 3. Cambridge praised the way he split the text into sections each dealing with a separate aspect of the question. That's good news for my text because I did the same. They also liked that he used cohesive devices - phrases that link sentences and paragraphs together and that he used complex structures to make key points. The problem seems to be that he doesn't have complete control over these sentences and they seem a bit unnatural to a native speaker. I'm going to award myself 5 out of 5 for MY text because my text is almost as high quality as The Old Man And The Sea. This was another weak point for the candidate - he only scored a 2. There are examples of good language and he tried to use some advanced phrases and grammar. And while there were some mistakes they don't really stop you from understanding the text. So is 2 a bit harsh? I think so - but that just shows the standard that is expected. You have to have good control - not just in a CAE proposal but in whatever you write at this level. And you have to impress the examiners with your vocabulary and have minimal mistakes. There's a decent 'how to write a proposal' page on Ruben Valero's website. It includes some key phrases for proposals. He uses bullet points in the 'conclusion' part of the proposal, which is a good place to use them.